The Classic World Pound and Tap Bench is a 2 in 1 toy. It is both a xylophone and ball game. 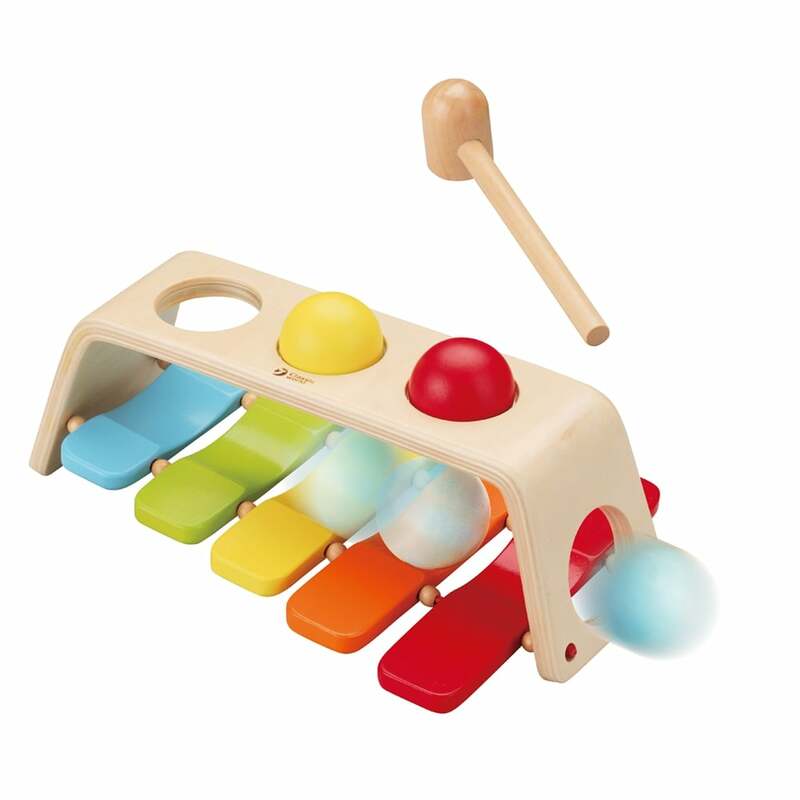 Classic World Pound and Tap Bench is a 2 in 1 toy that helps develop hand eye coordination as well as encouraging your baby to make music. Your baby can either place the ball in a hole and tap it through to hear the chime it makes or they can turn the toy over and hit the notes directly with the hammer to make their own music. Classic World Pound and Tap Bench is a brightly coloured, vibrant educational toy.